bought two. returned both.first unit broke after two days of light use, and was completely non-functional.Second unit confirmed performance issues I had with the first before it broke, so it was returned as well. The speakerphone's full duplex action is not nearly as good as the marketing suggests. The microphone is rather weak, so my listeners tell me. The unit runs very hot all the time, which is a little worrisome. And even the handset doesn't give good voice transmission.i recorded a message with the handset and then listened to it, and it was mediocre quality.Sounded like I was on a headset, not the handset. Wish this thing was as good as it looked.Still looking for a true top of the line quality 2-line speakerphone without voice mail. Got this phone because of the great success I had with Polycom phone systems in conference rooms accross Enterpise America.I am not disappointed.It is VERY loud and everyone has said I sound great.I think the echo-ing is a function of room dynamics.Mine are fine, but I have been in rooms where this has been a problem.If you like multi-tasking while on the phone, this is your phone (and mine).Full-Duplex is a must. Great product at a rather high price. This is a great phone for office. But the price is a bit higher than it shoud be. With some trepidation I bought the PolyCom SoundPoint Pro #225 but it turns out to be just fine *for the price*.I suspect that a lot of the disappointment comes from making a direct comparison of this phone with the high end PolyCom equipment found in so many office conference environments.I think it's unrealistic to expect this desk top phone (...) to be as good as PolyCom's conference phones selling for three to four times as much. It is the best desk top speaker phone I've used.The loud speaker perhaps emphasises the bass too much. Thus sometimes recorded voices sound "boomy" but normal conversation seems excellent.It's a bit like hearing voice programs on a high fi system designed for music.I find it definitely good to acceptable.My correspondents have reported good quality sound. Full duplex operation is excellent *as long as the highest volume for the speaker isn't used*.This is important since at the maximum volume full duplex seems to break down a bit.I suspect that some of the disappointment comes from trying to use this phone at the high volumes normally used for a conference phone.For normal conversations at my desk, I find setting the volume up half way is plenty loud enough and full duplex works well.Conversations are extremely natural. 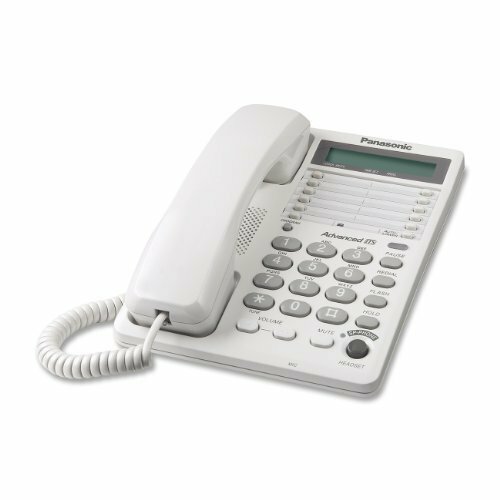 All in all, I find this a good desk top speakerphone, better than anything else I know of.Yes, I would like and would pay for something better in the configuration of a desk top phone.Until I find one this phone is serving me well. 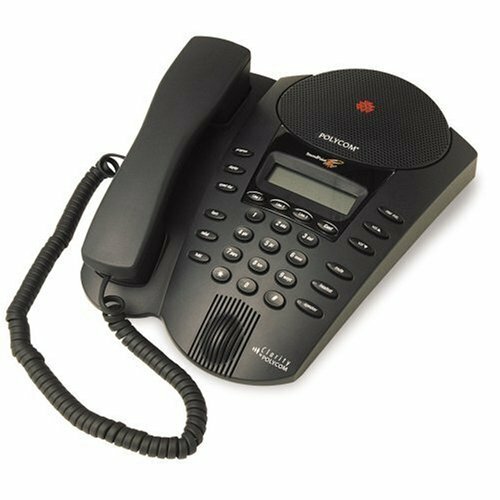 Note: I would save the money of buying the model with the second speaker.I never use it.This is not a true conference phone.Buy a high end PolyCom phone for that.You won't be disappointed. When I bought this phone about two years ago I was excited, expecting for the price that it would be a great speakerphone and have other good features. All during my phone usage people I talk to through the speakerphone say it's echo-ey.My my office may be a bad place for a speakerphone.Along with some other reviewers, I have found the volume too low. The headset has begun to squeak in a piecing tone. Putting an end to speakerphones that clip sound, the Polycom SoundPoint Pro SE-220 features full-duplex performance, so everyone can both talk and listen simultaneously. 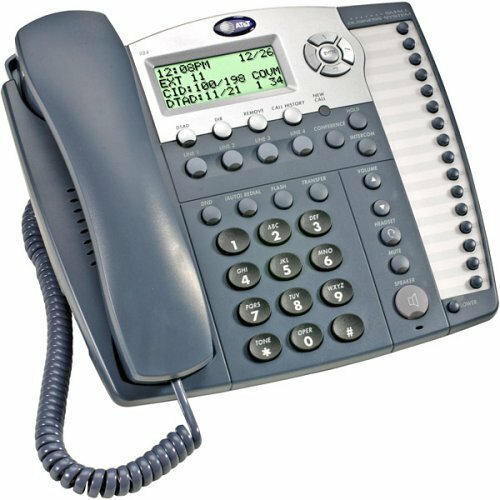 This corporate-quality phone system offers two lines, caller ID (including call-waiting caller ID), and a 32-character LCD display. Use the phone as a speakerphone or handset, or attach a headset for hands-free conversation. Although users who need larger-scale conferencing systems will want to look elsewhere, the SoundPoint Pro SE-220 competes well for its price point. Thanks to well-chosen features such as Polycom voice technology for crisp reception, 99-number call-history directory, 20-number speed dial, and any-key dialing, this model is ideal for typical conference rooms. - Sometimes people on the other end could not hear me at all when I picked up a call using the speakerphone. I had people hang up because they thought the line was dead. - I could hear my own voice loudly (louder than the person on the other end) in the earpiece when using a headset (so loud it even got feedback and squealed once). - The volume seemed to vary substantially from one call to the next. I never notice such variations on calls from the same people on our other phones. - The angle of the (rather small) display is such that you can't read it unless you lean over the top of the phone. This could be a really nice unit - it has some great features I haven't seen in other phones, but it seems like Polycom haven't quite gotten the design right, which is inexcusable for the price. We have Nortel phones at work; those seem to work far better, but I haven't found a domestic version. Ordered this phone because I work out of a home office and the GE 2 line phone I have is not a good speaker phone.The Polycom SE-220 worked fine for the first three days.On the forth day, I noticed that the phone would no longer place or receive calls, and an earlier time of 2:34 p.m. was on the display.This apparently was when the phone decided to die.No amount of disconnecting the power supply to attempt to re-set the phone worked. 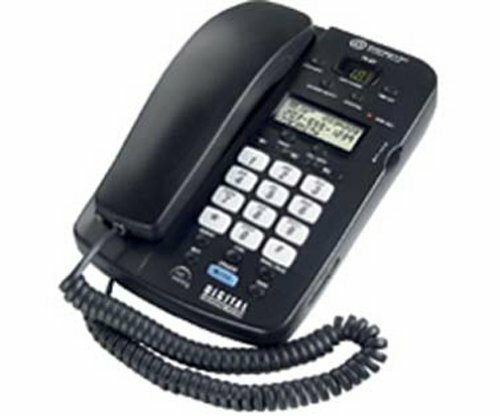 The phone is shipping back to Amazon today.I am disappointed in that I really need a good speakerphone, but this is not it. Overall this phone looks nice and looks professional, but its performance could be matched by other consumer-level phones with similar if not more features. 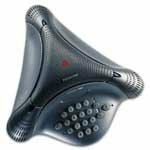 I hooked mine up immediately after receiving it (the day before the date of this review) and made my first call using the headset (a Polycom headset, which I already owned). As another reviewer experienced, I heard feedback of my own talking through the ear piece. This is something I never experienced with the same headset plugged into my 2.4Ghz Uniden handheld phone. "SoundPoint? 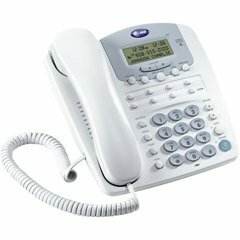 Pro SE-220 seamlessly integrates handset and headset telephone functionality with crystal clear, hands-free voice conferencing in an elegant personal business phone. .... Polycom?s Acoustic Clarity Technology enables callers to speak when they want without clipped sentences and one-way conversations that are common with ordinary business speakerphones." I didn't find this to be the case consistently. During the first moments of my first speakerphone call, there was clipping/reduced quality on both ends. However, this can be expected and the Troubleshooting section of the Soundpoint manual explains that the phone must adjust and to give it a few moments. In fact, I found this to be the case, on MY end. After several moments, the quality of sound/voice call through the speaker was very good. However, the sound quality on the receiver's end stayed poor. I was told that I sounded muffled and that while longer sentences came across fine, any short sentences or one-word answers were clipped. There was also a huge difference to my call participant when I picked up the headphones or handset. This call was over 5 minutes and I would expect the "adjustment" time per the manual to be much less than this. Also, it did not matter whether I moved the phone closer or farther away, or talked more directly into the microphone. On the other hand, several calls since then were of much better quality and the people on the other end thought that it sounded better than a typical, cheaper (e.g., non-Soundstation type) speakerphone. However, they could still typically tell that I was on speaker. I was initially very disappointed in this phone and even processed a return for it as "defective." However, I may just keep it after all - it's not a "bad" phone. Otherwise, if you're willing to chance or accept the performance, the phone looks nice, the buttons are layed out nicely, and the features seem pretty easy to use. Just keep in mind that you should not expect, to any realistic degree, that this phone will provide the quality of a Soundstation, or perhaps not even of a Voicestation. My understanding is that one can pick up a new Uniden 2.4 Ghz phone from some places for about $100, that comes with several handsets with speaker capability. That might not be a good solution for you, but I'm just highlighting that this Soundpoint is certainly not the be-all and end-all of SOHO business speakerphones. You may be very happy with this one, but you should look at all options: Don't necessarily buy this phone due to the Polycom name or your positive experiences with their high-end products. -2 Star for poor headset performance (surprisingly, with a Polycom headset). The phone has a built-in amplifier, but I can't find a way to adjust it. Overall, a nice phone that provides good speakerphone quality, a trait that is truly more difficult to find than one would think (I've tried several phones, only to be disappointed time and again).But it also has some obvious shortcomings that need to be addressed to make it more user friendly.If you can deal with the lack of missed call notification (which may be a sticking point for me, only time will tell), this phone will suit you well. I have worked out of my home office for several years and have found the cordless phones quite inadequate. 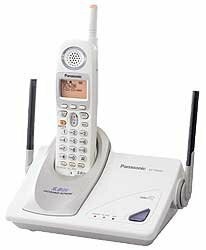 I frequently do 2HR + conference calls to the west coast, and have never felt comfortable using my speaker phone because it lacked professional sound quality. This is an excellent phone for your home office. 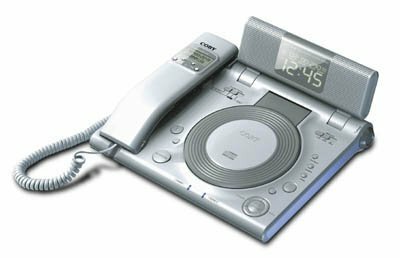 Although the speakerphone is not the same quality as their triangualar one, I am now very comfortable now doing long calls on it. I think the incoming speaker quality sounds excellent, I had one caller that had trouble hearing me, but I turned off the rear microphone and it improved. The keyboard and handset are very comfortable.The menus are a bit too cumbersome to navigate and the phone lacks a voice mail light indicator. You have to pick up the handset and listen to the dial tone, instead of a quick glance, which is disappointing for a phone of this quality. Features that can be improved include the LCD back light should be added and you should be able to program in more letters to your speed dial. It is restricted to 8 letters, it is also quite an antiquated method of programming them in, it is much too time consuming. A positive feature for this phone is that it identifies the call length and it is very useful for managing your time in regards to your work day, and if you talk with attorneys you can easily track their billing. The 3 way conference feature works great and I am very pleased with how easily it is to set up conference calls on my own. I think this is an excellent phone for a home office and would recommend it. I hope they can make a few adjustments for the next version, but in general I am very happy with this phone for my home office and has improved the overall quality of my workday. Recieved this phone last week.I bought the phone based on what a friend who is an expert on telecommunications told me.I needed a phone where the speakerphone sounded like I was talking on a handest.The audio is fantastic, but the pepole on the other end can still tell that I am on a speaker phone.So in that sense I am a little disappointed, but it is the best of the worst home office phone options.Other than that the setup is real easy, one other small drawback is when you put the names of people in your speed dial it only holds like 10 letters which is annoying.For a phone of this price I shoud be able to put a sentence in if I wish.Also if you are accessing voicemail you can only enter a few soft pause #'s before it runs out of room.If your reading this Polycom fix these things and you will have a much friendlier system. 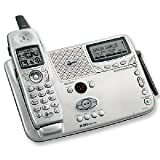 I ordered this phone on Jan 15, 2004.Today is Feb 9, 2004 and I have not received it to date.I've tried contacting the seller, but the emails are bounced back and it states the email address is not valid.Everyone, I urge you NOT to purchase from this seller. Full duplex speakerphone sound has to be experienced to be believed.Headset lets you dig through files with both hands or keyboard without hindrance.Caller ID and call-waiting caller ID gives you a full time paid for receptionist.Call logs and auto dial from call logs makes it easy to get back, even to people who don't leave voicemail messages (or forget to leave their phone numbers).Second microphone on back of unit for conference calling is also impressive.... mine worked fantastically right out of the box and has continued to do so for the past 18 months.Great company with great design - check their website for occasional product rebat offers.I got [some money] off on my phone. I found the Soundstation product I use in the office to be so good that I decided to get this product for my home office. I purchased the 2 line version of this phone. I had two problems immediately. The light on the mute button stopped working. Also, there was this annoying intermitant hum on the line (which all others on the call could hear as well). I called their customer service and they were very helpful. They apologized for the problem. They told me that the hum was a design flaw and that new models shouldn't experience the problem. I asked them to send me a new version of the phone so that I wouldn't have this problem going forward. They gave me a return materials number. Note: The AT&T 2462 is no longer being manufactured. You may want to consider purchasing the newer AT&T E2562 instead. 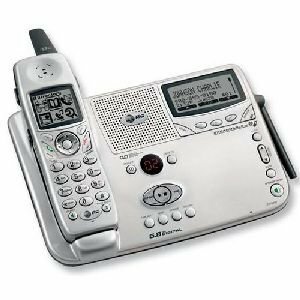 The two-line AT&T 2462 gives you enhanced 2.4 GHz digital spread spectrumtechnology in a cordless/corded combination pack, including a digital answering system and a full duplex speakerphone handset as well as base-unit speakerphone. 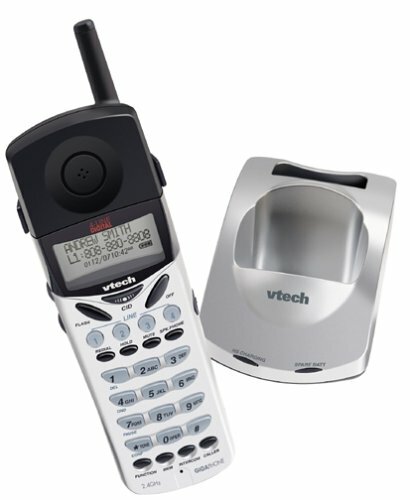 The answering machine offers two individual mailboxes and 25 minutes of digital recording time. Headset compatibility frees your hands during conversations. 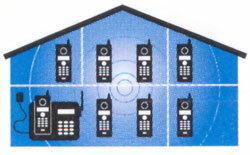 The LCDs on the base station and the handset provide caller ID with call waiting information (provided you have a subscription to caller ID services through your local phone company). The handset and base each store 50 names and numbers, and you can expand the system to include as many as eight handsets (AT&T model 2402). I bought this as a reconditioned phone via an amazon re-seller. If you have two lines at home, this is the phone for you. (Assuming you can find one). It's sound quality is fine and given its relative complexity, it is easy to use.If it has the features you are looking for, go for it. This phone will cut off your callers when they are leaving a voice-mail (see other reviews to see that this is common).It appears that it is dectecting tones in the callers voice which triggers the phone to think you are trying to access your voice mail. 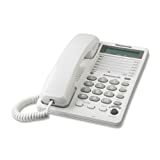 The answering machine cuts off messages.After three months use static came on the line with each use.House telephone lines checked out; we were told phone was defective.Customer service of no use.Avoid this phone and avoid AT&T "service". AT&T 2462 Saves drowning poodle!! Actually - No.But this phone system has been with us for over a year now, and the quality and features still impress us.Many of our clients don't recognize when they are speakerphone, and the feature-set - for a two-line phone - is impressive.The menu system for speed-dial can be a bit bothersome - but works fine, once you are used to it.One feature we would have liked to see, is a way to add 'hold music'...but this is a minor peeve. 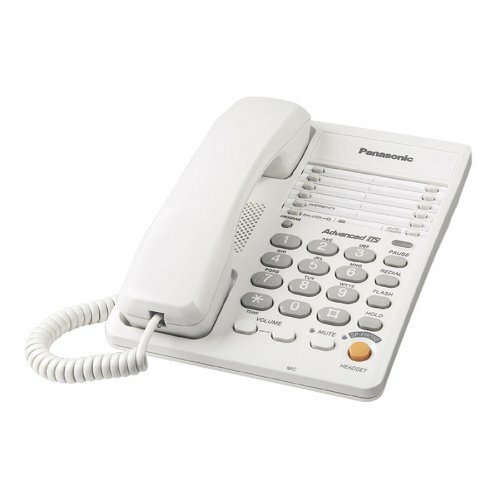 Perfect for the everyday office environment, the Panasonic KX-TS108W white corded phone has all the basic features you could ask for. 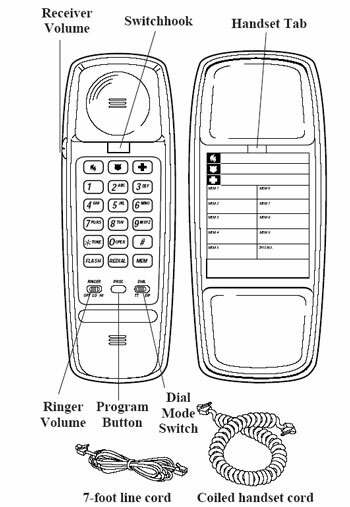 The phone's base includes speakerphone functions with electronic volume control and houses an integrated data port. I recently purchased this phone and I expect this will more than pay for itself in a short time.I am using this phone along with a calling card (3.5 cents per minute)to save money and the hassle of trying to call during certain times on the various calling plans.No calling plan comes close to using some of todays calling cards. I use one of the buttons for the phone number of the calling card, another for the pass code, then another for the party you wish to talk to.This takes a couple of seconds, then you have a crystal clear connection. When there is a need to be on hold for a while, you just push the speaker phone button to free yourself of having to hold the phone up to your ear. I opt to use the speaker phone on all calls, then I pick up the when the phone is answered. I hope this phone lasts.I'm hoping for these to come on sale as this will save time (and money)in shopping for the holidays. This is a great little phone for the most part. 1)The buttons are not tiny, so you won't be pressing the wrong numbers by mistake. 2)The digital readout is good, but after about two years it begins to fade a bit. 3)The sound quality is clear. 4)The cord is way too short though. You have to be sitting right next to the phone. But I simply replaced it with a longer cord. 5)Programing is not too complicated, but keep the manual nearby for when you have to re-program numbers. It is not simple enough to remember how to do it easily. I got this conference phone at a good price.It is quite expensive for home use. * It can be loud. * When someone in the house pick up the phone, it makes a short beep. Great for monitoring. * Cord is long.Great when you want to extend to other table. * Got a RCA jack if you want to record it. * It does sound like you are inside a big tunnel.Isnt all speakphone like this?Who can tell the difference if both are using it. I use it for my SOHO and it works great. I do not understand who other users have posted negative comments on this product. It works great, the sound quality is pretty good for the price. Soundstation with mics is better, but also three times as expensive. I purchased this phone thinking it was similar to the SoundStation 100, the difference being this one is newer, sleeker, and cheaper... I was wrong. The sound quality is terrible.I could not hear a person speaking from a handset without clipping.When I spoke, others said it sounded like I was in a tunnel, or very far from the mic. This was in a room about 10x12.They said it is for small rooms...Like a closet perhaps? I bought this phone hoping it would be similar in quality to the polycom soundstation phones we use at work. It was not. When I use the phone, I often cannot hear the first half sentence of the other party when they begin speaking. They complain that I sound like I am in a huge room, and can't hear me if I get more than a foot from the unit. Nice well designed phone. Very easy to program. Takes 3 AA batteries for memory presets. I purchased two of these phones, one for my grandparents who promptly dropped the phone on the kitchen floor ejecting the batteries thereby erasing all the pre-programmed numbers that I had entered. Battery cover needs to be taped down to prevent this, as battery cover does not close well (Panasonic could have designed a better battery cover into this phone as they have with other models). I've been very pleased with this phone.The bright and large black on orange text display is a big improvement over older Panasonic black on green displays.Borrowing from cell phone functions, there are three soft keys for voicemail notification on/off, voice enhancer, and phone list, a nice touch.The handset is comfortable to use (albeit larger than many other brands), and the keypad has nice large keys that are easily dialed one-handedly.The good-quality speakerphone is also a handy option, as is the flashing light visible on the antenna tip to signal incoming calls or new voicemail. Sound quality is excellent both in and out; I've not had any of the issues noted, and I did test via leaving messages on my cell phone.However, when the "Voice Enhancer" function is turned on, my voice did sound overamplified with feedback noise.I'm guessing that this function is designed for someone with a very soft voice, and that most users would be better off not engaging it.It is, though, a nice option for perhaps a child or the elderly person who needs their voice "enhanced". Overall, with the $30 Panasonic rebate in place until the end of May, I rate this phone very highly on a price/value basis.I may purchase another. I've owned this phone for over a year, (...) My favorite feature is the speakerphone on the handset.This is so convenient.It even allows you to mute while on speakerphone.Great for those conference calls to the office when you're home with a sick child.Another great feature is that if you have voicemail with your phone company, a light on the antenna will flash to let you know you have a message. By the way, I have had none of the problems mentioned by others. Battery died in 6 months, never got the rebate. I bought the phone and WAS satisfied with its quality even I didn't get the rebate. (Panasonic is famous for its bad rebate) But barely after 6 months, the battery totally died. I here DO NOT recommend this phone and I do not recommend any panasonic products with rebates. I too am disapointed in this phone. I've always been pleased with Panasonic products, but not this one. For me, the problems are when I'm too close to the base unit, the other party can't understand me. It seems when I'm further away it clears up. How Panasonic can release a phone to the market with this kind of obvious problem is beyond me. I like the features. I like the speakerphone. I like everything else about it, but if it can't do the basic function of talking to a caller, what good is it? My recomendation is to avoid this model completely and hold out for something else. 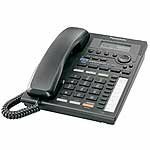 A popular and affordable telephone, the 210 from AT&T is designed for those who don't want hassles or frills, just a basic phone that's reliable and easy to use. 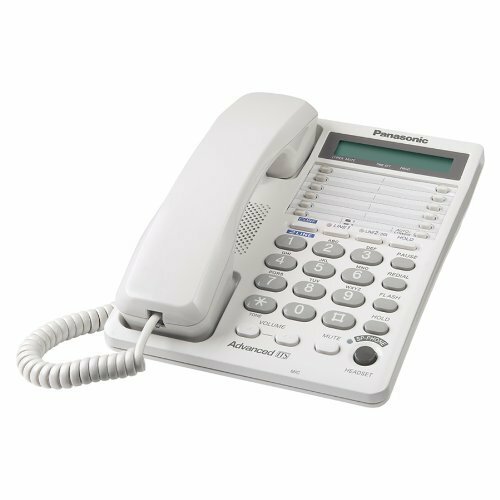 Simple corded operation means you never have worry about misplacing a cordless handset, and the phone's sturdy construction means it's designed to last. You can place the base on a convenient surface or easily mount it on the wall, saving on counter space. A 12-number memory dial feature lets you store your most frequently called numbers (up to 21 digits)--nine speed dials plus three emergency one-touch dials that are easy to program. A directory card is provided to help you keep track of all your memory dial settings. A redial feature lets you quickly call the last outgoing number (up to 32 digits). Three ringer settings (off, low, and high) and three handset volume levels permit customization. 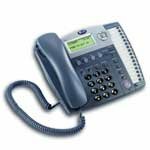 Switchable tone and pulse dialing methods are also provided. The illuminated keypad helps you operate the phone even in darkly lit areas, while a prog/mute button on the handset lets you hear the other party while muting your side of the conversation. An excellent value, the 210 also comes backed with a one-year limited warranty. I've loved the trimline phone ever since I got my first phone more than 20 years ago.Then, the trimline was a real, Bell System, telephone.Although this phone is clearly not the same as the real Bell trimline phones, it still has the great, comfortable design and the dialpad in the handset, which makes it an excellent choice.I've compared several other trimline phones and this is the closest phone I could find to the original Bell phones. Northwestern Bell also makes a trimline phone, but the quality and comfort are nowhere near this AT&T version. If you read the other reviews, you will see that at least one review (dated November of 2004) says that this phone was discontinued.Yet, here we are in late November 2004, and its still around.I'm guessing (could be wrong here) that this phone will be around forever, even though AT&T no longer promotes it on their web-site. I'm amazed by the number of people these days who own nothing but cordless phones. Now, I like cordless phones; they're an indispensable part of modern life. But, unlike a simple phone like this Trimline, most cordless phones don't work when the electricity goes out. 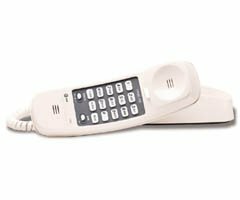 This phone requires no battery or AC power, and has a lighted keypad, and a ringer on/off switch--all of which make it a nice bedroom phone for emergencies. The sound quality is good, and the volume is adjustable. The design of this corded telephone is very comterble to talk into. The easy-to-read green backlit oval kepad makes it easy to dial at night without having to reach up with one arm to turn on the light. The handset and ringer volume controls makes it easy to turn the volume up or down to make the ring louder or softer and makes it easy to make it to a comterble listening level. The only mistake at&t made was when I press the fire button, it calls 911. It says on the box: "# ONE BEST-SELLING PHONE OF ALL TIME" I can tell why. It has all the features that you can get all in one telephone. I LOVE THIS PHONE!!!! THIS IS THE **ONLY** GOOD PHONE AT&T MAKES. THEIR CORDLESS PHONES ARE UNRELIABLE, CHEAPLY MANUFACTUREDED AND HAVE THE WORST RECEPTION I HAVE EVER HEARD. IN MY EXPERIENCE, ONLY THE AT&T CORDED PHONES ARE ACCEPTABLE. STAY AWAY FROM THIS BRAND (WHY DO YOU THINK AT&T KEEPS HAVING LAYOFFS- AND THE NYSE TRIED TO UNLIST THEM FOR BEING A PENNY STOCK).. SINCE THE COMPANY BROKE UP INTO 7 COMPANIES, THE PRODUCTS THE PUT OUT ARE NO GOOD. Imitated poorly by Conair and Bell South, among others, the classic AT&T 210 Trimline is the follow-on to the original pre-divestiture Trimline telephones.Once available in white, bisque/ivory, a greenish color, and black, it's now discontinued.Every few years the manufacturer of the 210 changes.My first 210s are made by Philips.The newer ones are manufactured by some company in China called "Advanced American Telephones. "The quality is the same.I have attempted to use the Conair and Bell South knock-offs and none of them have the solid feel and sound quality of the AT&T models.When we used to live nearby a radio transmitter only the 210 Trimlines could filter out the interference. Notable features include a weighted base and the current models being sold have a handy cord winder in the base to shorten a long modular line.The handset cord is the AT&T Tuffcord style so it does not kink, sag, and by some magical technology does not get dirty like the cheaper knock-offs.Features that nobody needs on a phone like this include memory redial and wall mounting. This is a nice 4 line phone, but the digital answering system does not work. 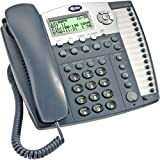 We have 2 984's and several other brand 4-line phones. I could not find any way to make either 984 work as a four line answering system. Auto-Attendent is useless in our situation. These phones are certainly not worth the money. Unfortunately there aren't many 4-line phones on the market and apparently no 4-line digital answering systems. We have been trying to get this system to work in our office for a couple of months. Tech support has been worthless. If you want to go out of business fast because no one can call you, get this system.